Make a visit to one of Long Island’s duck ponds! It can be a pleasant and relaxing activity for the young and the old practically any time of year. During Spring, enjoy waterfowl picking at new plants and vegetation in their natural habitat. By Summer, catch the sight of swans and ducks afloat the water with the nice summer breeze. In the Fall, see the wild animals among beautiful fall foliage. And in the Winter, catch non-migratory geese walk about snow covered grounds. Most people find enjoyment being around waterfowl. These animals often appear approachable and may even seek your attention. Naturally, when this happens, the desire is to feed them -- but, before you do, there are some things you need to know. Waterfowl living in their natural habitat can find food in the wild and do not require human feeding. They also live more healthy finding natural foods in the wild like plants, natural grains and invertebrates. Feeding waterfowl human food like bread, corn, or table scraps is a no-no. It can be harmful to the animals. For instance, wild ducks fed human food like bread and crackers result with organs that become engorged and fatty. This can also cause a number of health complications like heart disease and liver problem. For young ducklings, it takes away from the need to seek for vital nutrients that will help them development. So if you’re looking to feed waterfowl, keep the information above in mind. Now it's time to head out and catch a view of waterfowl in their natural environment at one of these Long Island duck ponds! Duck Pond at Mill Pond -This Pond is Located Across from Stony Brook Grist Mill at 100 Harbor Road in Stony Brook. At the duck pond, find swans and ducks swimming along tranquil waters. While there also make a visit to Stony Grist Mill, a registered historic place. Enjoy a walk through this preserve and nature sanctuary. While many duck ponds forbid feeding of wildlife, this duck pond allows it and offers proper signage to inform visitors of appropriate things to feed. 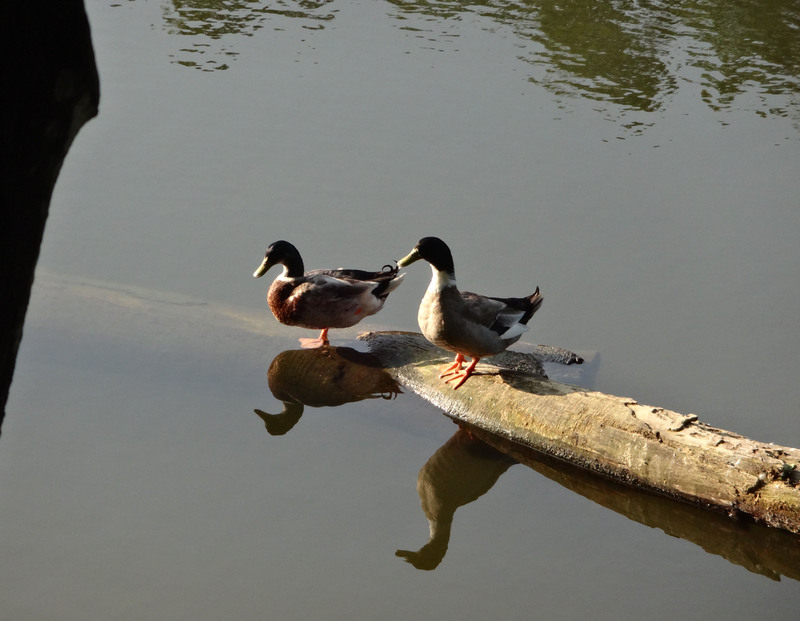 Located across from the registered historic place Woodhull House is a pond to enjoy the sight of ducks. At the rear of the pond are benches. This place also makes a great destination for picnics and there’s ice skating available in the winter. Catch the sight of swans and ducks at this massive pond park perfect for a scenic photo. This duck pond has benches spread long the rim to sit down and take it all in. Here you’ll find ducks, geese, swans and even turtles at little ponds. The park and preserve also has a series of wooded trails that pass along the ponds. Wading River Duck Pond - From East on Route 25 to 25A, go left on to North Country Road in Wading River. Duck Pond Park located at bottom of hill. Find ducks, geese, and swans here on any given day. The Wading River-Shoreham Chamber of Commerce also hosts a Duck Pond Day annually. An event that originated as a day of sprucing up the ponds has turned into a fun community day each year. Don't see your favorite duck pond listed? Let us know! Duck Ponds not your thing? No problem! There's plenty of great outdoor fun across Long Island!